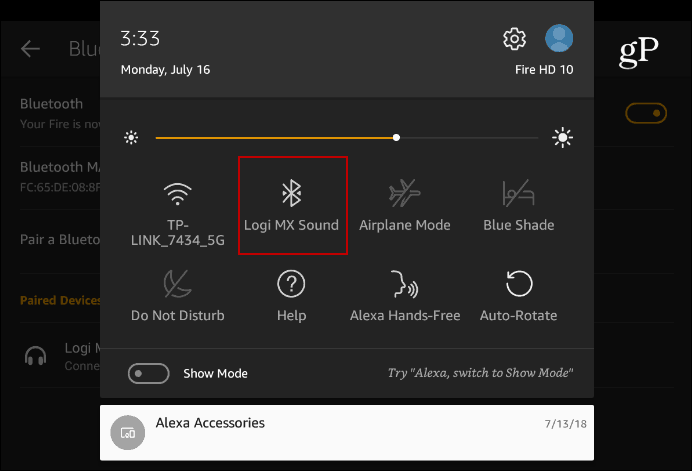 If you watch movies and listen to music and other audio from your Fire HD tablet, you might want to connect Bluetooth speakers for better sound. Amazon recently released the Show Mode and Charging Dock that you can connect to your Fire HD 8 or Fire HD 10 to make it a portable Echo Show device. However, the audio experience through the tablet’s flimsy speakers leaves much to be desired. But you can connect external Bluetooth speakers to your tablet for a better audio experience. But you don’t need to be using Show Mode and using the charging dock. 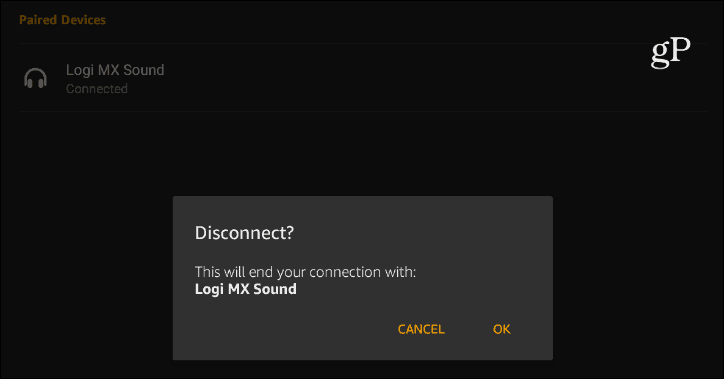 You might want to connect to speakers while sitting on the couch watching a movie and then take the tablet to a different room and connect a different set of Bluetooth speakers. Whatever your situation, here’s how to do it. 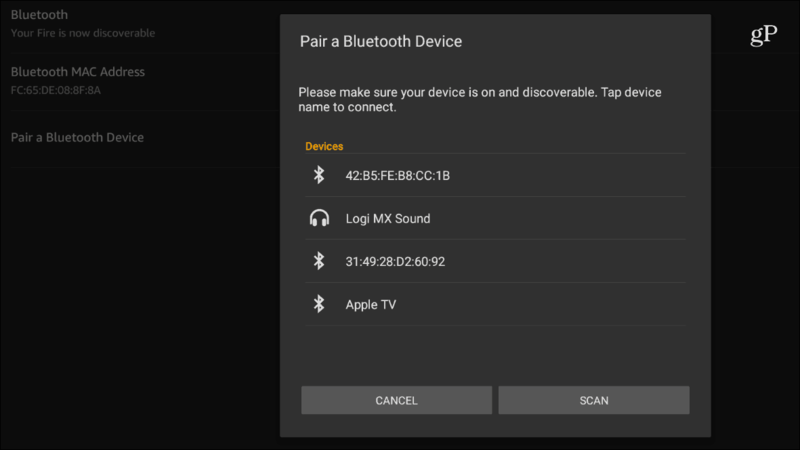 To pair a set of Bluetooth speakers with your Fire HD tablet first, make sure the speakers are discoverable, and head to Settings > Wireless > Bluetooth and then tap the “Pair a Bluetooth Device” option from the list. Your tablet will scan for nearby devices it can connect to. In this case, I’m using a set of Logitech MX Sound speakers, but it will work with whatever Bluetooth speakers you have. Once it finds your external Bluetooth speaker(s) select them from the list and wait while the connection is made — it should only take a second. While your tablet and speakers are connected, swipe down from the top of the screen to see it in the notification shade. There you can tap it and you’ll see it’s connected and you can go to More Options which brings you back to the Bluetooth section in Settings. This makes it easy to disconnect your tablet from the speakers and head to another room. Your tablet will remember all speakers you connect to which makes connecting later a simple one-tap affair. This is nice when you’re using it in Show Mode in one room and head to another room as a tablet. Whether you’re using your Fire HD tablet with the new Show Mode with the Charging Dock and all, or just using it while sitting on the couch watching videos, it’s easy to connect a pair of Bluetooth speakers for a better audio experience.